The man responsible for this one is Dan Lacksman(Daniel Pierre Lanckmans). Who is Lacksman you ask ? I'll tell you who Lacksman is right now. Well in 78 he founded TELEX together with Marc Moulin and Michel Moers. In 79 he and Moulin produced LIO's first album. 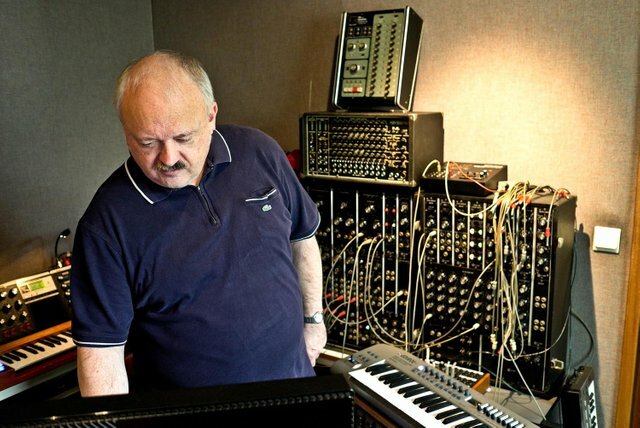 In 1980, he founded Synsound studio in Brussels. There he works with the likes of Sparks, Etienne Daho, and Haruomi Hosono. In 1983, he recorded Thomas Dolby's second album, "The Flat Earth”. He's responsible for numerous other projects like: Electronic Butterflies, Electronic System, Discotheque Sound, Pangea, Syne Wave plus he was in many other groups like: 1.4.9.2., Dan Lacksman's Alliance, Darcman, Mad Unity, The Kiliwax's, Van Twist . This track is from 1978 and was released by Pinnacle Records who was a UK indie label and I bet it's still going. Great Post. Didn't know he was in Telex. I am a fan of Thommas Dolby too. I remember the Norwegian jazz artist Bugge Wesseltoft once saying that "The Flat Earth" was one of his top ten favourites of well produced records.